When Palm announced the Pre 2, they mentioned it was coming to Canada, but did not provide any carrier information. 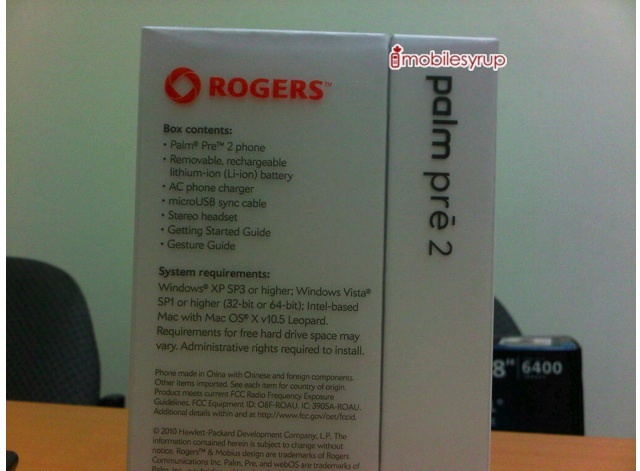 MobileSyrup (via Worldwide Gadget) has photos of the new Palm Pre 2 packaging and it’s clear the new Pre 2 is headed to Rogers. 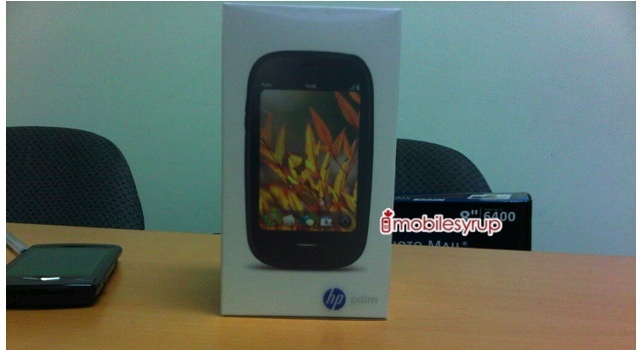 The new packaging also includes the new HP palm logo. Fancy! Obviously, packaging would indicate we are passed pre-production units. The rumored release date is November 9th, which dovetails nicely with our rumored November 11th US release date.